California’s mandatory commercial building benchmarking law is one of the topics we are contacted about the most and since the law finally went into place on June 1, of this year, the amount of questions we have received have spiked dramatically. Because of the increase in interest (and the fact that many of your buildings must comply with the law) we thought now might be a good time to re-present information on this topic to help our members understand the process and how to comply. It all started in the year 2007 with AB 1103, a bill that passed the Legislature and was signed into law by then Governor Schwarzenegger, over our industry’s strenuous objections. We weren’t opposed to benchmarking, per se, but believed the way the bill was going to be difficult to implement in that it required every non-residential building in the State of California to be benchmarked. Period. No flexibility. Our warnings that such a sweeping mandate would be an overwhelming regulation to implement came to fruition and after several years the complicated process was abandoned, and stakeholders were brought together to start over and write a statute – that retained the “mandate” but did so in a manner that could actually work in the Real World. -AB 1103 mandated ALL buildings must be benchmarked regardless of size or use; AB 802 states that buildings 50K s.f. and above must be benchmarked and allows the Energy Commission some discretion to exempt certain building types and situations (i.e. the CEC could decide that long-term empty buildings or buildings scheduled for razing need not be benchmarked). -AB 1103 was a transaction based program – benchmarking was triggered by a sale/lease of whole building/refinance. The transaction based approach had many unintended consequences such as requiring actively managed buildings to be benchmarked more often than buildings that are not; put an unnecessary technical process in the middle of a real estate transaction; and required benchmarking be provided to parties that were not making management decisions (i.e. lenders); AB 802 allows the CEC to determine the best trigger for benchmarking – that could be transaction based or time certain (i.e. once every two years). 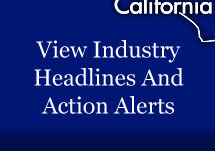 – Under AB 1103 many building owners were unable to get tenant energy information from local utilities; AB 802 clarifies that utilities are required to provide information; in an aggregated format if there are privacy concerns in multi-tenant buildings. Although some building owners are currently having trouble accessing this information from some utilities the law is clear that owners do not need to get permission from tenants and/or utilities for these purposes. – AB 1103 treated income producing properties separately by only focusing on commercial; AB 802 – with the support of the Apartment industry – includes certain multi-family housing properties. Our industry was also given two years to prepare for implementation as reporting did not begin until June 1, 2018. Now that the implementation phase is underway the rule of thumb is that, with some exceptions, if you have a building that is 50K s.f. or more you must benchmark it annually using Energy Star and report the numbers. See below for more info.